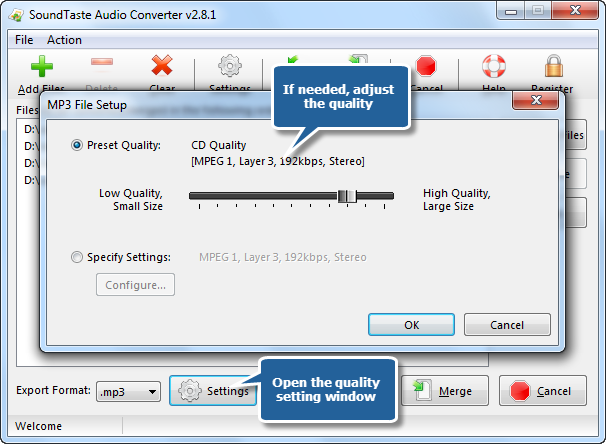 Need to convert WMA to MP3, or MP3 to WAV, or between other audio file formats? 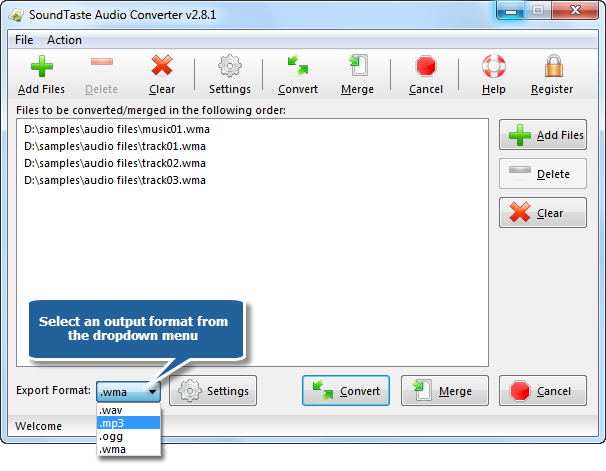 SoundTaste Audio Converter is exactly what you are looking for. 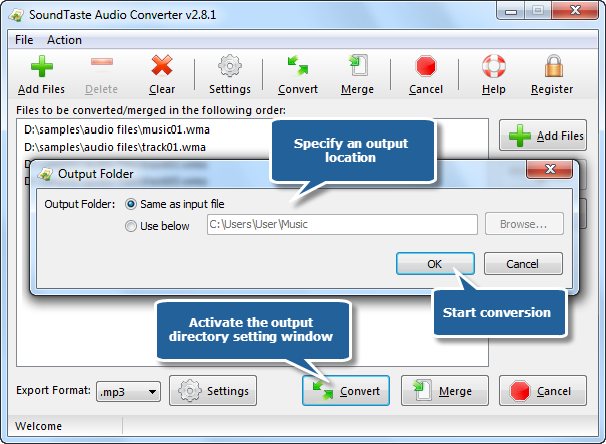 It provides you easy and completed way to convert audio files between almost any formats with great quality and fast speed. Using a clear and intuitive interface, you can convert files individually or in batches. 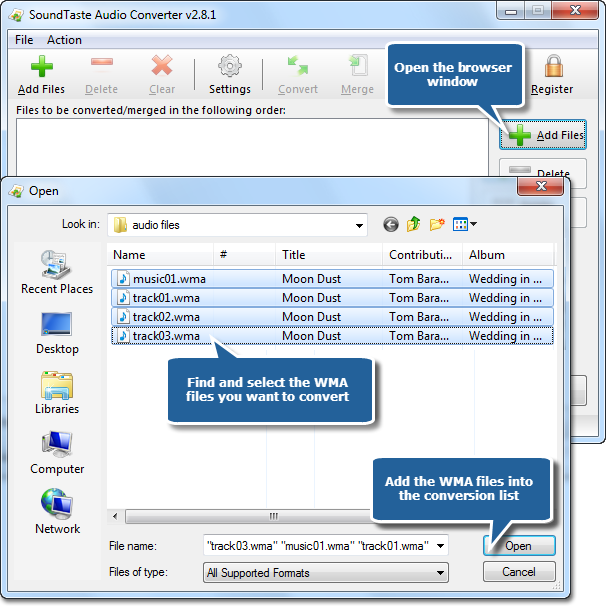 This tutorial will focus on How to Convert WMA to MP3 with SoundTast Audio Converter. How to Convert WMA to MP3? Launch SoundTaste Audio Converter first. Click “Add Files” to add WMA files to the conversion list, or you can drag & drop to add WMA files. You can also remove one or all listed files by clicking “Delete” or “Clear”button. You can change the sequence by dragging added audio files to the defined position. Choose MP3 format from the dropdown menu of “Export Format”. WMA, OGG & WAV are well supported.